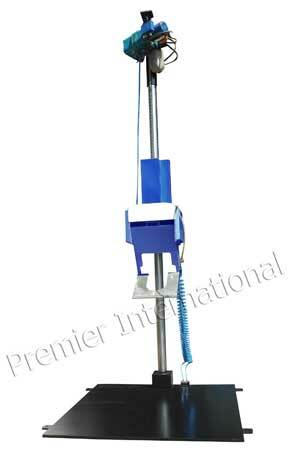 We are engaged in manufacturing and supplying of Automatic Drop Tester. The Automatic Drop Tester offered by us is used to determine the ability of a package to withstand the rigors of handling by people and machinery in the distribution environment. Control and hoisting features facilitates in all respects of operation: drop height setting and test reset. The equipment has steel base plate which complies with industry standard. Motorized lifting of package & solenoid operated release system.